Chicken or No Chicken…I Will Serve The Lord! I’ve someone new to introduce to you. 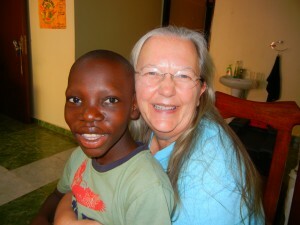 This is our newest orphan living here with us at the mission house. 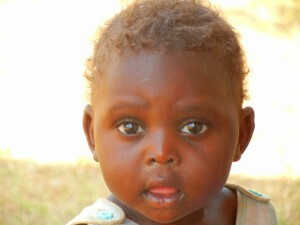 Her name is Doreen and Arafat is so happy to have another child here his age. Yesterday they both went with us to a bush church. 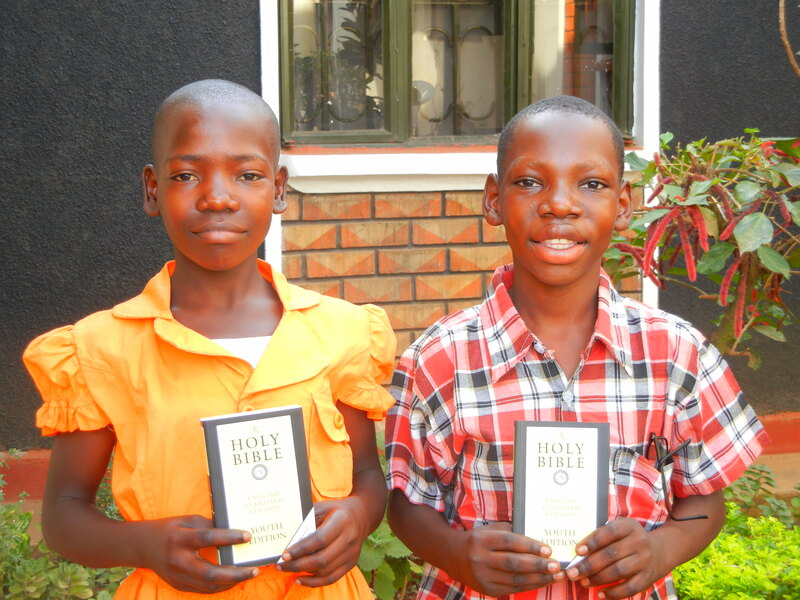 What a joy to see them carrying their bibles and then listening to them pray during church. Doreen and Arafat....ready for church! We went to the church where our guard Geoffrey attends. It was the first time we’ve ever been in church with him. A few weeks back Helping Hands changed Geoffrey’s job position. He now does all sorts of things and has Sunday’s off, so he can be in church with his family. 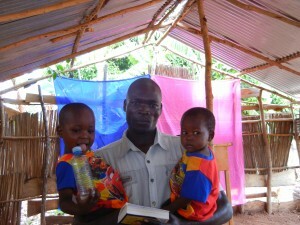 This church is also the church of the boy my son Bryan and his family sponsor. His name is John and as soon as we walked in the church, he came immediately and snuggled up right next to me. I sure love this boy….he is very special to our family. This morning, Tom, Sezi and I are heading out to Kenya for the second Secret Church conference. I am so excited as having already experienced the first one helps me know how God is going to work throughout this week. Just a bit nervous about my lodging! I am staying in the hut where I had to sleep with the chicken last year! God knows how to keep me on my toes….and keeps my life here interesting! At first you might think they should just get rid of the chicken, Even me at times, I think maybe that chicken made it to Sunday dinner! But we have to remember that the chicken is an asset to the widow and that is the life here. 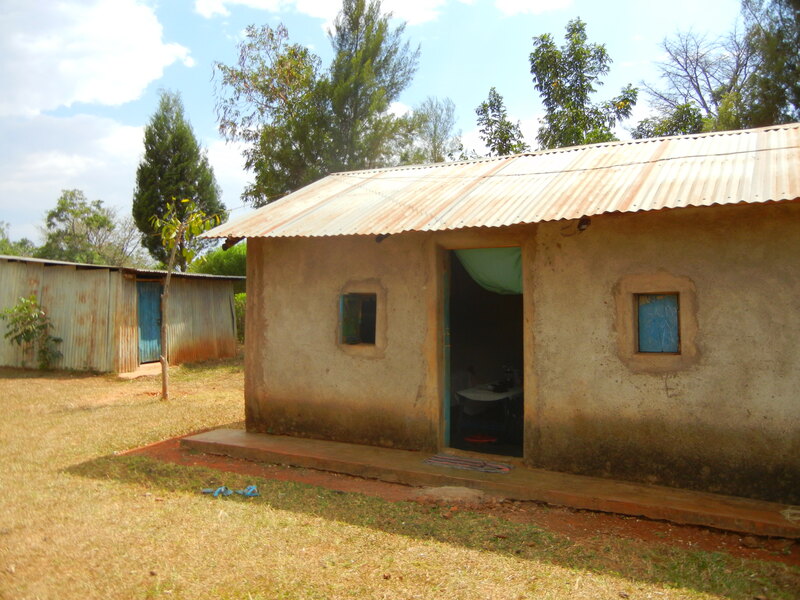 So, I bring what I need to endure and keep in my mind that I am blessed to have a place to sleep as this widow and her children will not because they gave up their hut for me. Please keep all the pastors attending the conference in your prayers. Also, those who make these conferences possible…the ones who carry water and cook. Anticipating another incredible time of watching God change and grow the pastors as they learn more of the Word and about our persecuted brothers and sisters all over the world. It has been an incredible week as I’ve traveled with my translator, Pastor Tom Ojiambo and my driver, Sezi to Kenya and held our first extended Secret Church conference. Last year, I was blessed to facilitate several one-day Secret Church events, but this year thanks to Disciple Making International, a wide and effective door opened for extensive training to be held over a 5-day period. Two weeks of each month, I will travel to different districts for this training to take place. I am blessed to serve with an association of Baptist churches here in East Africa called Grace Calvary Christian Ministries. It is this association of churches that these conferences are being extended to. There are 13 districts within this association. 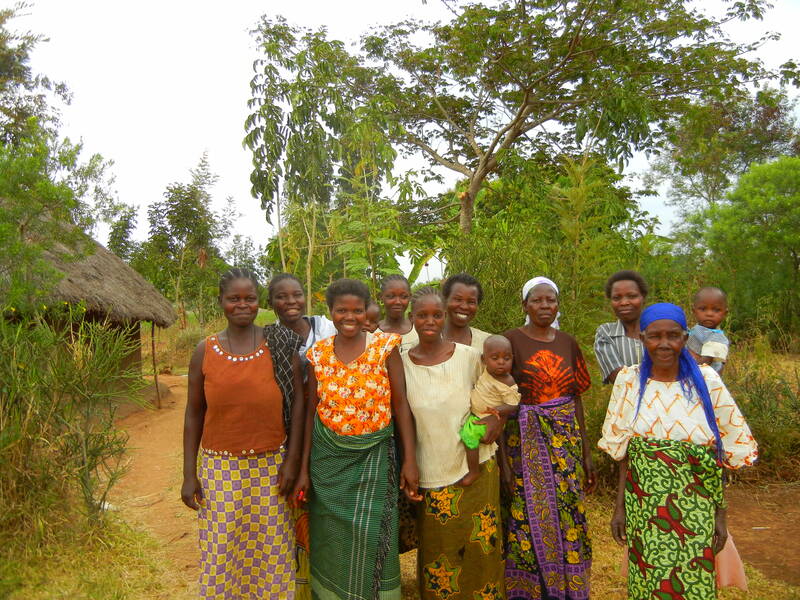 These districts represent 265 churches across the countries of Uganda, Kenya, Tanzania, Southern Sudan and The Congo. As I travel this year, these Secret Church studies will be available not only to these 265 pastors, but also the new pastors of new church plants that will develop. A low estimate of participants is 300 pastors by year-end. Most of the pastors of these 265 churches have little to no bible training. 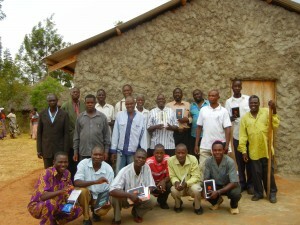 Not until last year did these pastors receive study bibles. 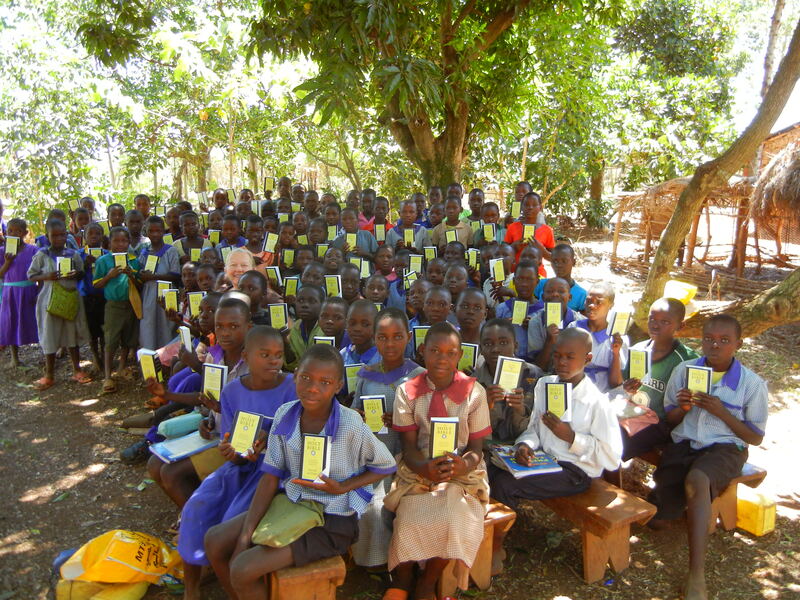 For many of them, the study bible they received was the first complete bible (Genesis through Revelation) they had ever had. 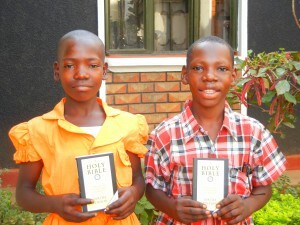 As you can imagine these bibles made an impact in their understanding of the Word, yet they desired more instruction. As we loaded the van to head out on Monday morning I experienced a great sense of excitement. I was in awe of God’s hand working through His body of believers to make this happen. Through the grant Disciple Making International had provided, I was taking along with me mats and blankets for the pastors to sleep on. 3 Secret Church study guides for each pastor; Old Testament Survey, New Testament Survey and How To Study The Bible as well as funding for the feeding of the pastors during their five day stay. I also had the equipment Helping Hands provided; DVD player, speaker and projector along with our screen ( a white bed sheet:)). Of course none of this equipment would have worked without the new generator the Sunday School classes of Jim Wallace, Joel Cobb and Terry Teakell at my home church, Blackshear Place provided. I share these specific details because it is a clear indicator of how it takes ALL of the body of Christ, working together to accomplish His plans and purposes. As we drove out to the bush area of Kenya for our conference, I was thinking about all of the knowledge the pastors were going to gain over the days ahead. I was especially excited as the first session…Old Testament Survey began. Each Secret Church that has been taught has focused on a persecuted area of our world. The Old Testament session focuses on the continent of Africa. This is the first exposure these pastors have ever been given about persecution. They have never been told of such things and it impacts them greatly. 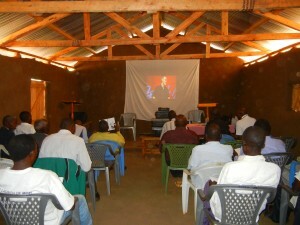 I know God used the first session when Pastor Platt taught it years ago to help others learn about the persecution in Africa, yet I also know that God in His wisdom allowed this to be the first area of our world to be spotlighted as He knew the impact it would one day have on the pastors here in Africa. Throughout the week they were impacted as we also learned about our persecuted brothers and sisters in Asia and Indonesia. However, I believe the first session being on Africa penetrated their hearts the deepest as they developed a passion for their fellow persecuted brothers and sisters; especially those within their neighboring country of Somalia. Over the next few months as Secret Church goes out throughout Kenya, I am expecting God to call some of these pastors out to Somalia. At the end of the conference as the pastors were sharing….more shared about their desire to go out and teach Secret Church in the restricted countries, than those who only shared specific things they had learned at the conference. God is working in a mighty way. Please join me in praying for the men of God we know are going to say yes to the call. As I mentioned earlier, it takes ALL of the body of Christ to fulfill His plans. These precious women were part of His plan. They walked hours daily for water and cooked for these pastors. What a joy to serve with them as they happily worked for the Lord. Also, the family who gave me a place to stay should be thanked for their generosity. I had a sweet little home while I was there. 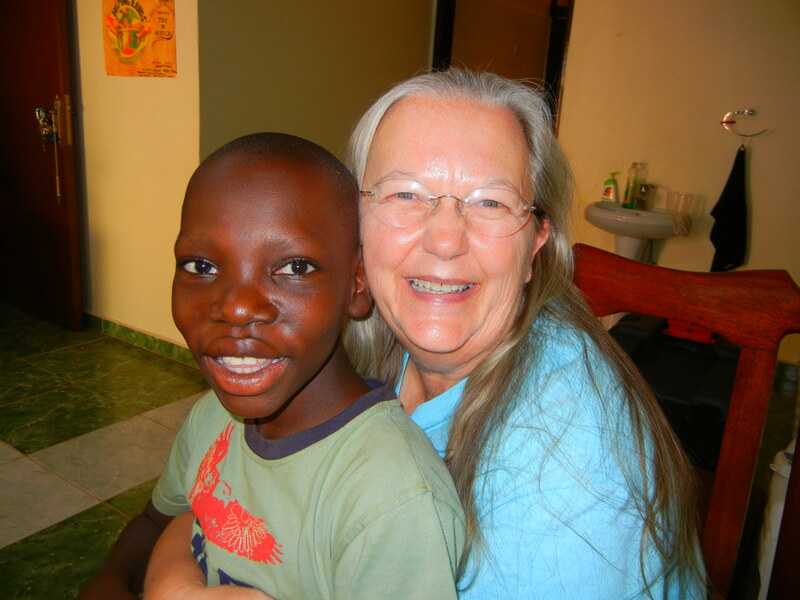 This is their granddaughter Metrine who stayed in the room beside me…. We head back out to a different district on the 27th. Please keep us covered in prayer. 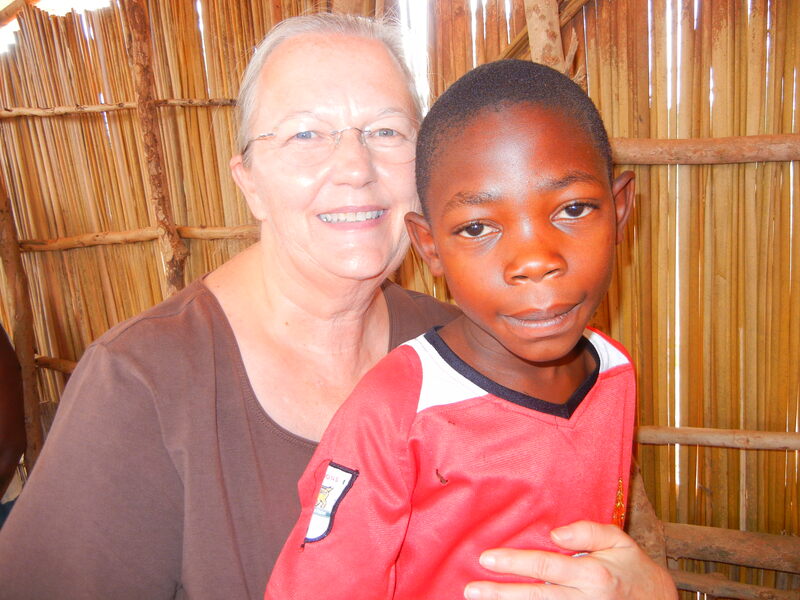 Thank you for praying for the needs requested for this past week. God heard your prayers and answered accordingly. I’ve had my last shower and used the toilet the last time and am heading out to the Kenya bush to facilitate 5 days of Secret Church studies. I’ll stay with the closest neighbor to the church where the conference will be held, so there will be no showers or toilets or running water, yet there will be wonderful fellowship and joy spending time together with those I have been called here to serve alongside. Not only wonderful fellowship and joy with my brothers and sisters in Christ, but more importantly, fellowship and joy with our Lord as we listen over these next few days to Pastor David Platt teach us via podcast the three foundational Secret Church sessions he began with several years ago. We will cover the teachings Holy Spirit gave to him on Survey of the Old Testament, Survey of the New Testament and How To Study the Bible. This is the first of 10 weeks I’ll be traveling throughout Kenya and Uganda facilitating these studies over the next several months. As I leave this morning, I do so in anticipation of God working in ways I have not seen here before as more than 300 pastors will be trained during these next few months with these incredible seminary lessons. I don’t think I can truly grasp the outcome of it all because there will be no way to tract how the gospel and these teachings go forward until we get to heaven and see those whose lives were touched because God entrusted His word to Pastor Plat and through Disciple Making International, (disciplemakingintl.org) it has now reached us here in East Africa. Pray for the pastors who will be participating. Pray for all of us be to protected from the spiritual warfare the enemy will be enforcing. 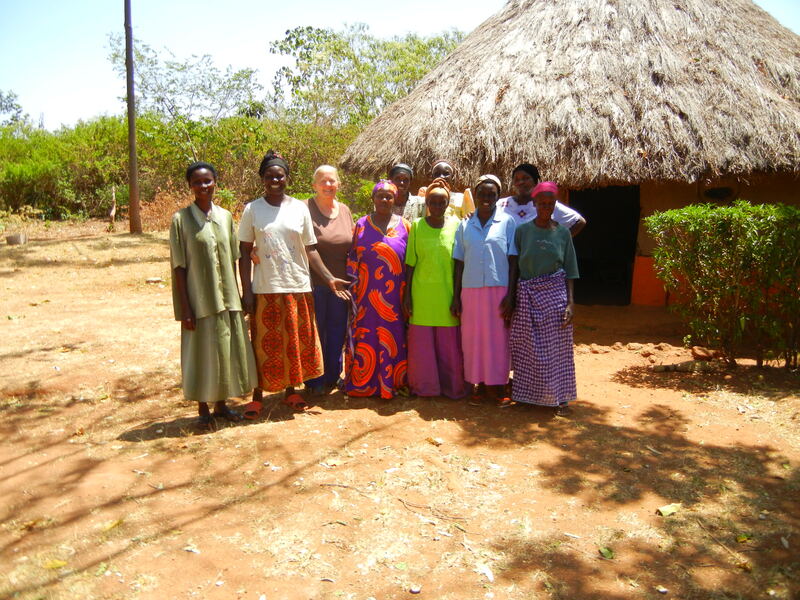 Pray for the 5 ladies who will walk several hours daily for water to cook the food. Pray for safe travel as most of the pastors will walk for very long distances to attend the conferences. Pray that our minds will be clear and we will have the ability to comprehend the lessons and that we will retain the knowledge we learn in order to go back out and teach it. Thank the Lord for Pastor Platt and his team at Disciple Making International. 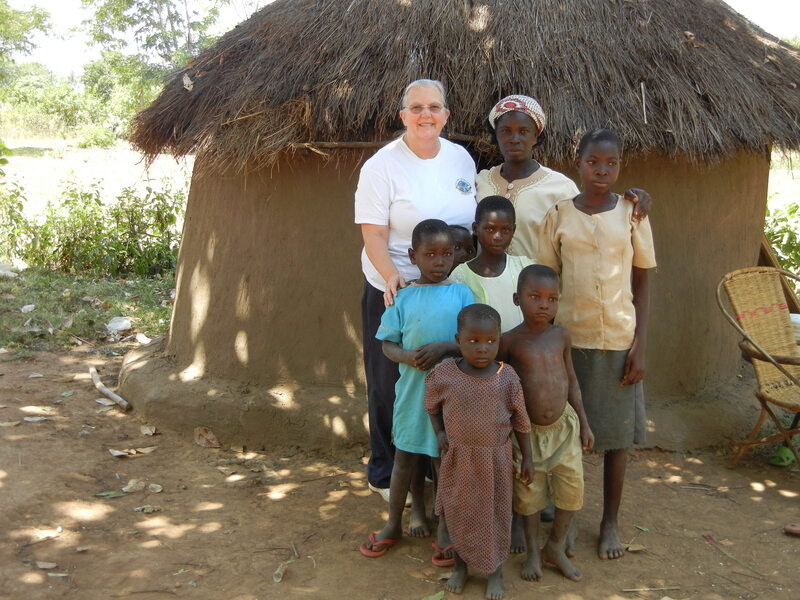 Ask the Lord to continue to bless them abundantly as they make a difference all over the world. Pray for my endurance as the heat here has been 100 degrees or more daily. Thank you in advance for praying….it soothes my soul to know we are covered by the prayers of the Saints of the Lord. It’s been a great day today here in Uganda. Today was my first travel day since I returned from my visit to the states. The past couple of weeks I’ve settled in and completed the scheduling and preparation for the months ahead. 2012 is going to be an amazing year! My calendar is full but so are the blessings that come with busyness with God! Arafat is doing well, with the exception of a small opening that has opened back up in his stomach. He is back in school half days and enjoying being back with his friends. Please pray for this new opening to heal quickly and for there to be no complications with it. Arafat....he weighs 72 pounds now....Praise The Lord! Today was a two-fold blessing as I traveled to the bush. The first blessing was distributing bibles to the bush school children. 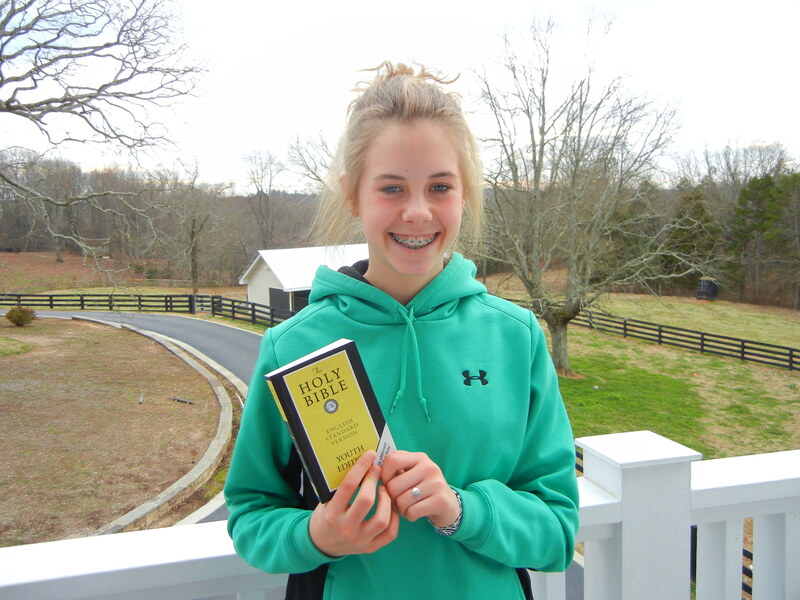 These bibles were donated by a special 12 year old girl named Laynie England. Spent an afternoon with Laynie before I left the states... a very sweet girl! The bible she is holding, is the bibles she raised money for. Laynie heard me speak at her church youth group at Air Line Baptist Church and her heart was moved when she learned the children here have no bibles. She began a campaign to raise money for me to bring back with me and purchase bibles for these school children. 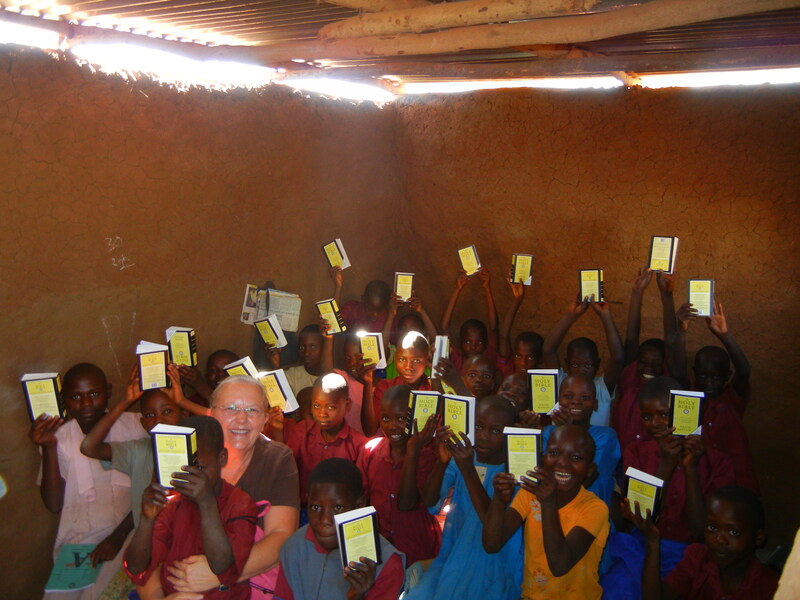 With the funds she raised and the funds others like Carol Brown who was inspired by what Laynie had done, I was able to purchase 160 bibles! These are pictures I took today as the bibles made their way into the hands of the children. 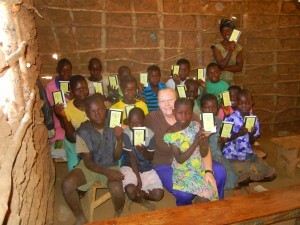 What is so incredible about this is, it is not just the children who will benefit from the bibles. The guardians/parents/grandparents whomever the child lives with, most likely cannot read, so these children will be taking the Word of God home and reading what they can of it to their families. The other blessing of the day was meeting with the women leaders from the northern zone of our churches here. 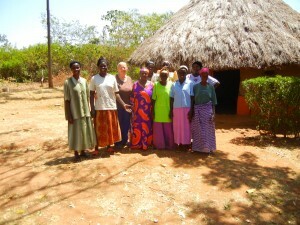 These women are doing amazing ministry here among the widows as well as sharing the gospel. Our meeting today was to begin planning for our first women’s team conference. A few months ago I began to pray about asking my home church, Blackshear Place to send a women’s teaching team. I am thrilled to share that this is now happening and a women’s team from Blackshear will be here in July to join me in teaching these amazing daughters of the King! Today we planned our food budget because much of the food has to be purchased now, as there will not be another harvest before July. They are expecting more than 300 women for this conference so advanced planning is required to have adequate food. On Saturday our BSI (Bible Skills Institute) classes resume. 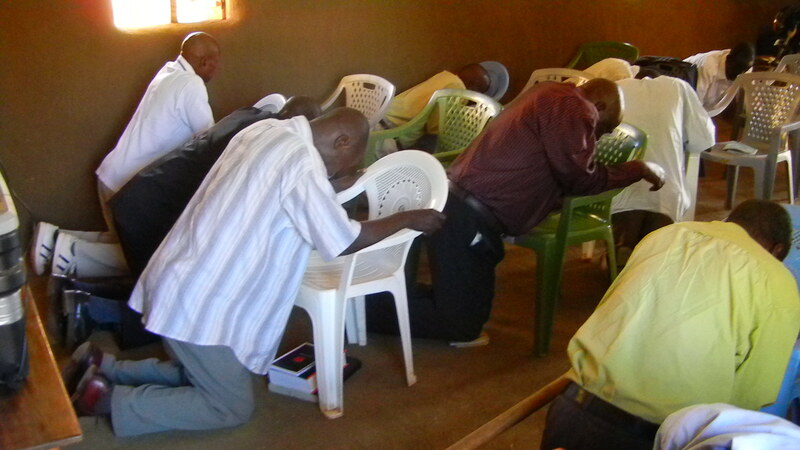 It has been so good to hear from the pastors who have all called, in anticipation of class resuming. I will have the pastors who’ve been with me the past year here in Busia back, as well as the pastors beginning their second year at Lake Victoria. Also, a new class in Buradi, Kenya. All together we have 56 pastors taking these courses. 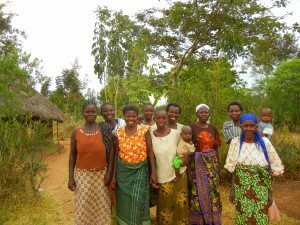 On Monday I leave to stay for a week in Kenya for the first Secret Church conference. Conferences that are a direct blessing from our Heavenly Father. I will wait until next week and write an update on this event while I am there and share some pictures. But in the meantime, please be praying for the pastors who will be attending. Pray there will be no hindrances in their participation. As always I am blessed to be here, to represent the Lord and all of you who faithfully pray/support the work He has called me to do.